Ducati might be holding off until the Milan Show to unveil the all new 1098 Superbike but that hasn't stopped them coming to Cologne for this years Intermot with a range of totally new bikes. The new Monster S4R and Multistrada 1150 and 1150S have all been tested already in MCN but all are 2007 bikes meaning that this was the first time a member of the public got to touch them. Also being presented in all its glory at Cologne was the GT1000 along with the rest of the Sport Classic range. For bike reviews click here However, one bike nobody has yet to see in the flesh is the 07 Sport Classic 1000S in Ducati red. Sharing the same fairing as the 2006 Paul Smart replica, Ducati have reverted to the traditional red set off by a bounty of chrome and black wheels with chrome spokes. And speaking of the Paul Smart replica, checkout the revised model for 2007 with a completely faired package. Also making a pre-Milan appearance were two of Ducati's most outrageous projects - the £37K Desmosidici RR and the Hypermotard concept bike. 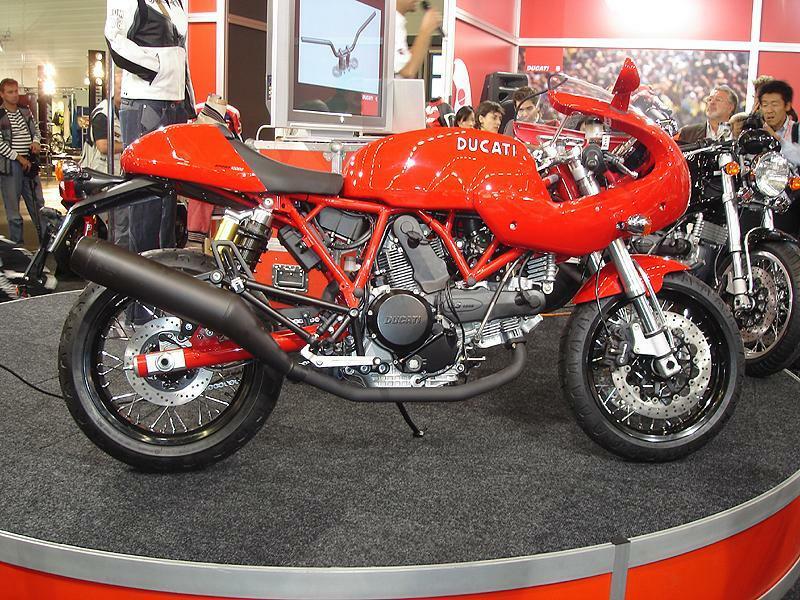 Check out these pics of Ducati's most eagerly anticipated machines in history. See the Ducati Sport 1000S and the Desmosedici RR in the video below.